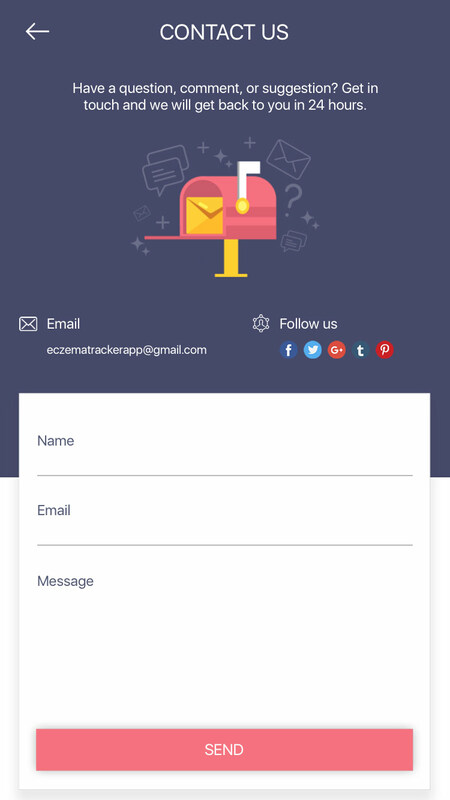 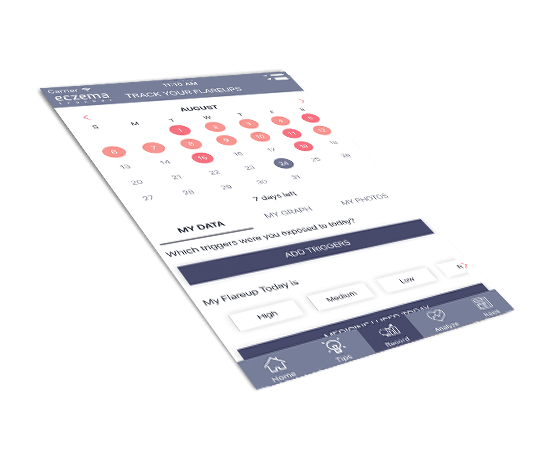 Eczema Tracker app is your single solution analyzing, managing, and controlling your eczema. 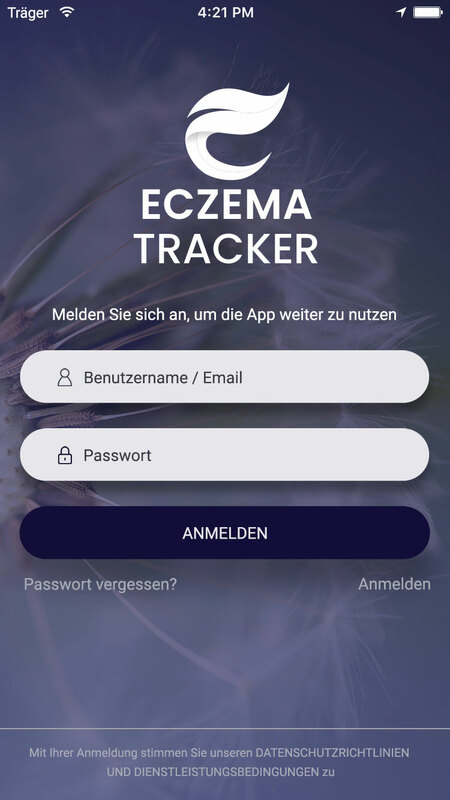 Beat your eczema with Eczema Tracker! 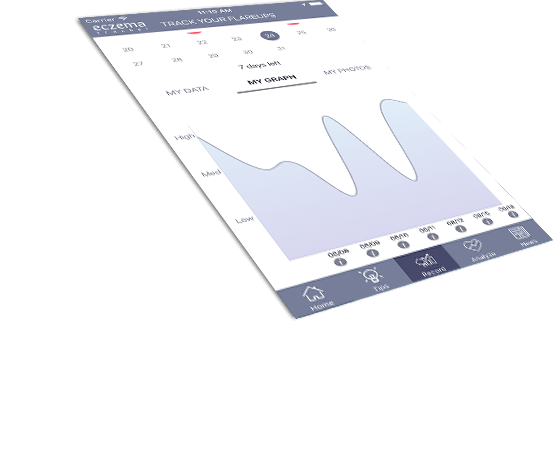 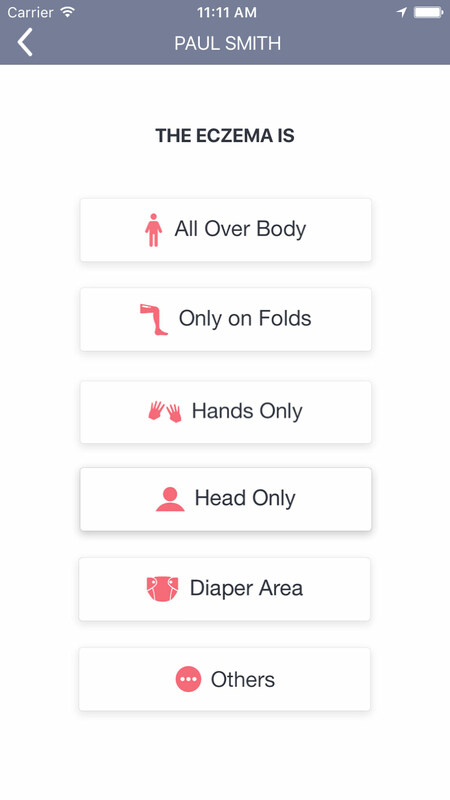 Eczema Tracker app is your single solution for analyzing, managing, and controlling your eczema. 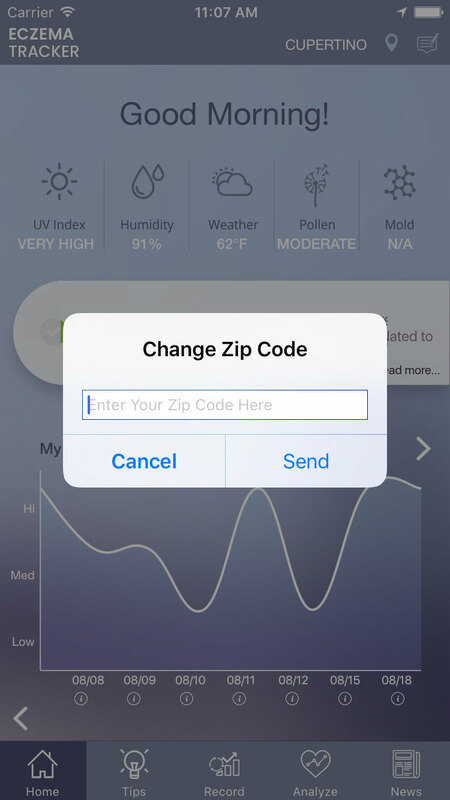 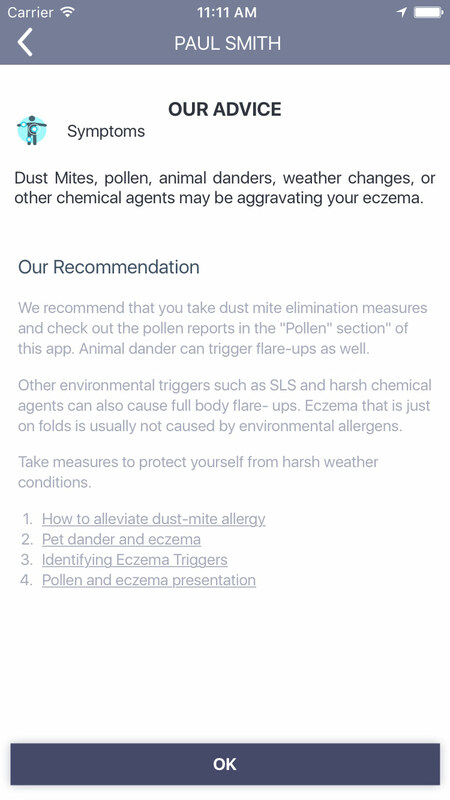 The Eczema Tracker app gives you pollen, mold, weather, and humidity levels on the spot. 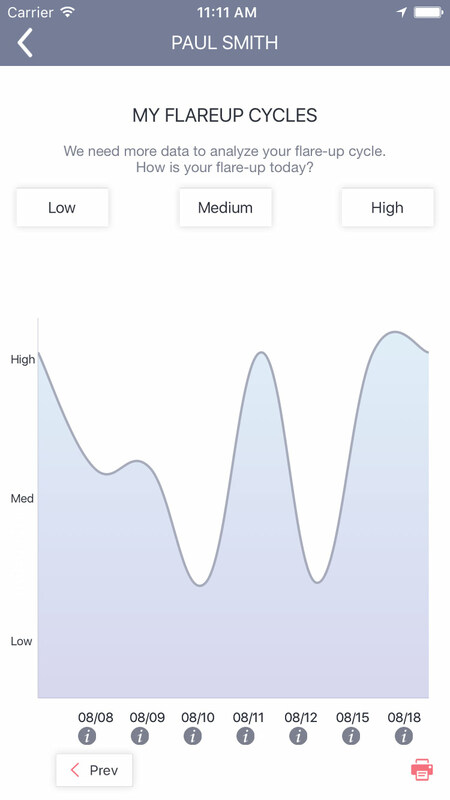 The graphs and data analysis tools provided help you identify patterns in your flare-ups. 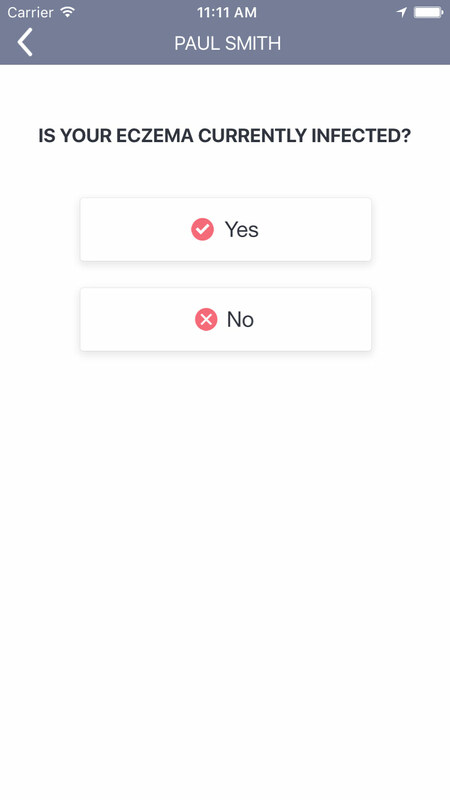 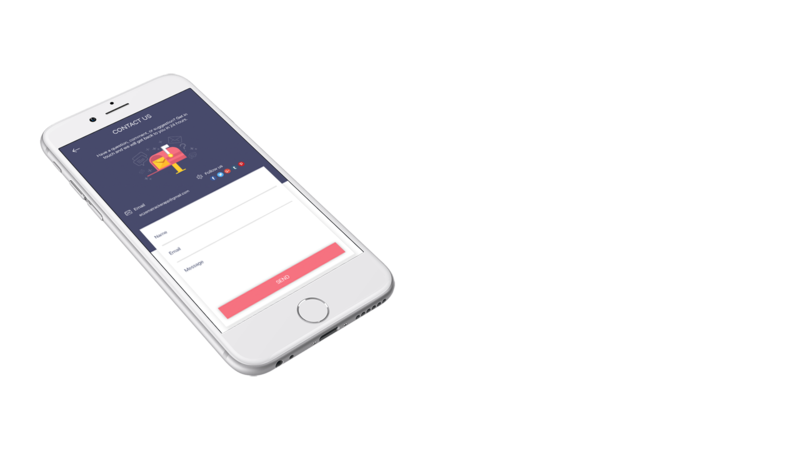 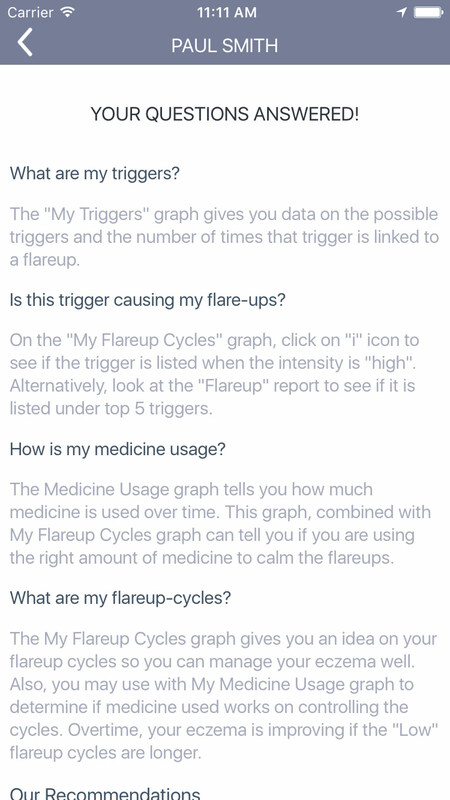 The data you enter fuel our algorithm to give you a summary of your potential check points to better manage your eczema! 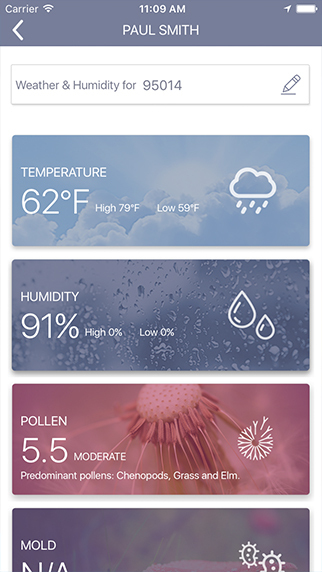 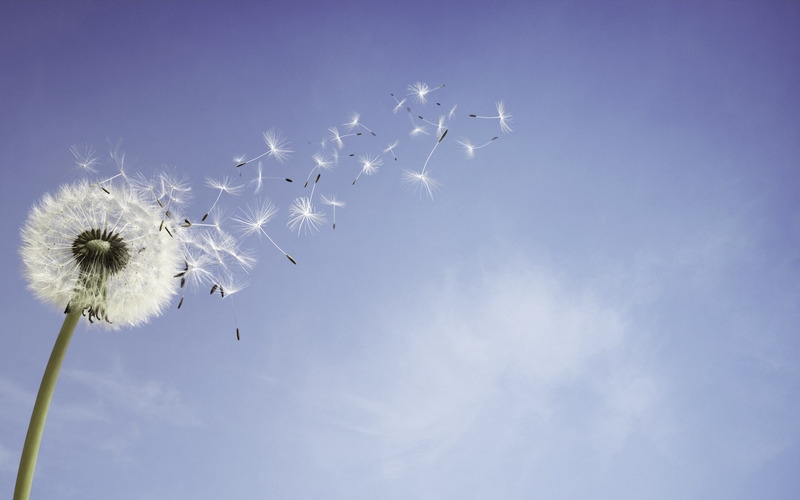 Check pollen, mold, temperature, humidity levels for any location to get a quick lookup. 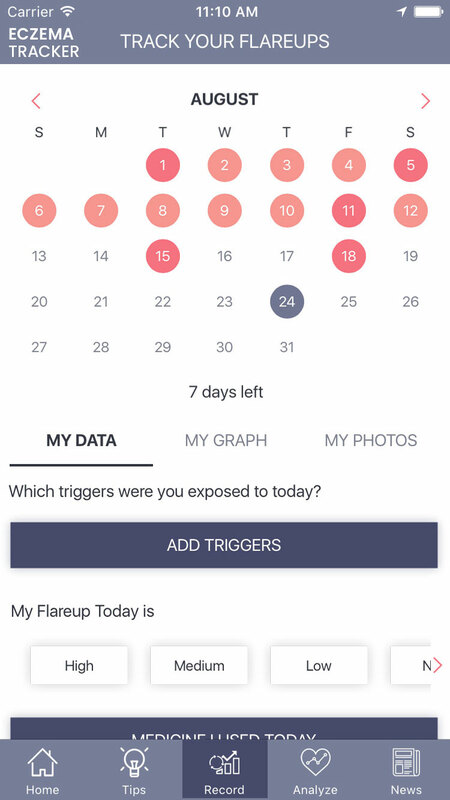 Track your eczema flare-up at the level that matters, without complexity. 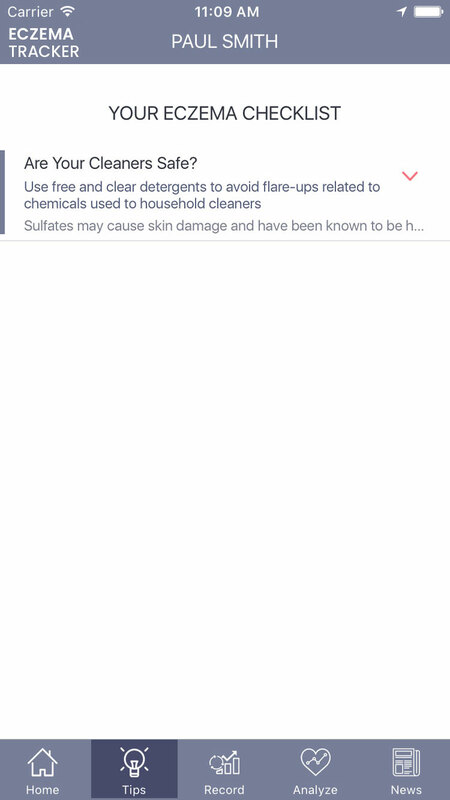 You can easily get advice to control and manage eczema in toddlers, children or adults. 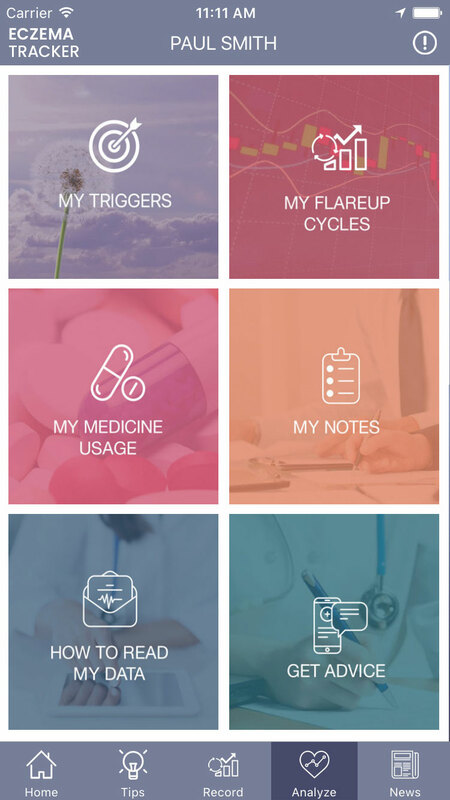 Stay updated and browse the latest blogs and updates relating to eczema with our app. 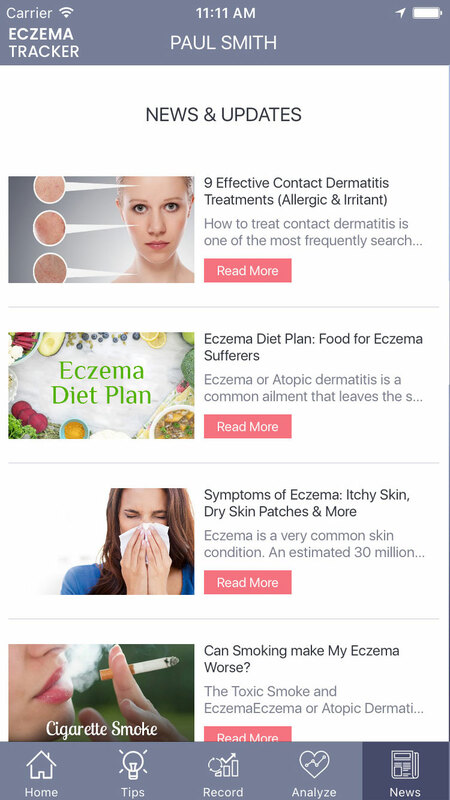 Never miss a tip on how to manage, relieve and cure eczema naturally or medically. 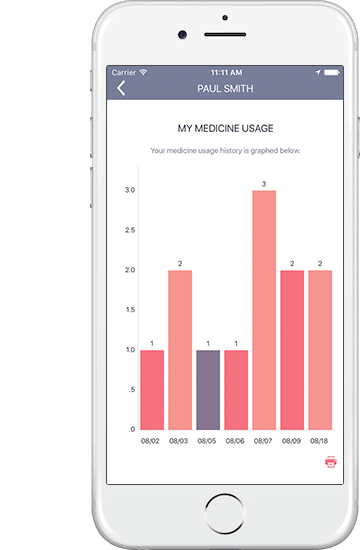 Find trends in your eczema data to control and manage it in the long run. 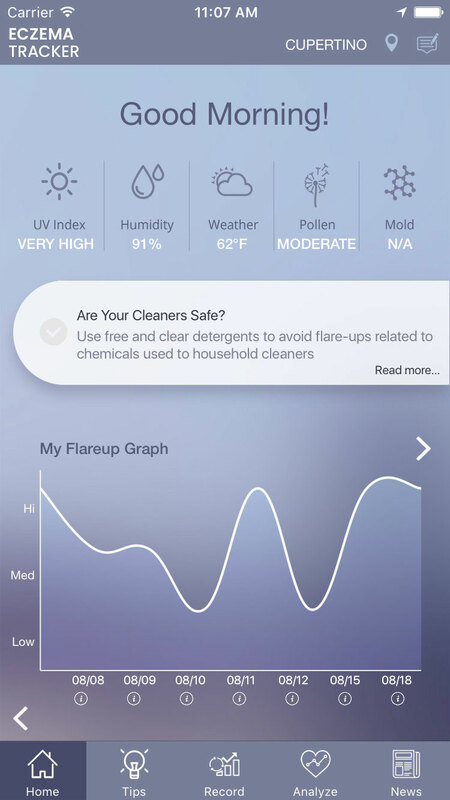 Eczema management and triggers detection made easier! 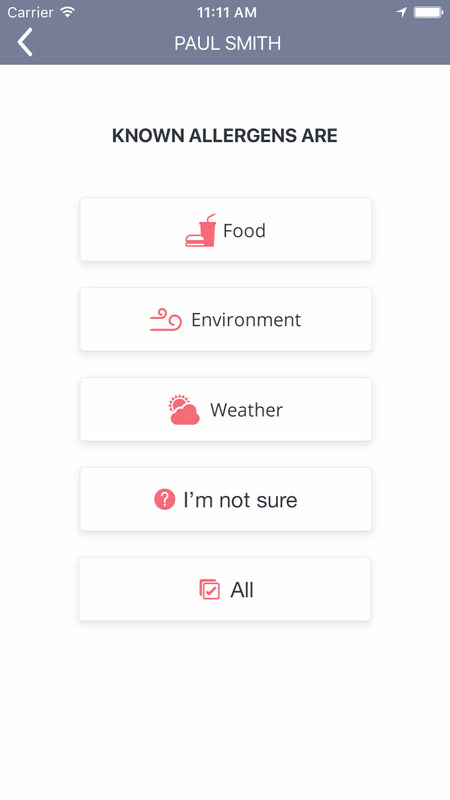 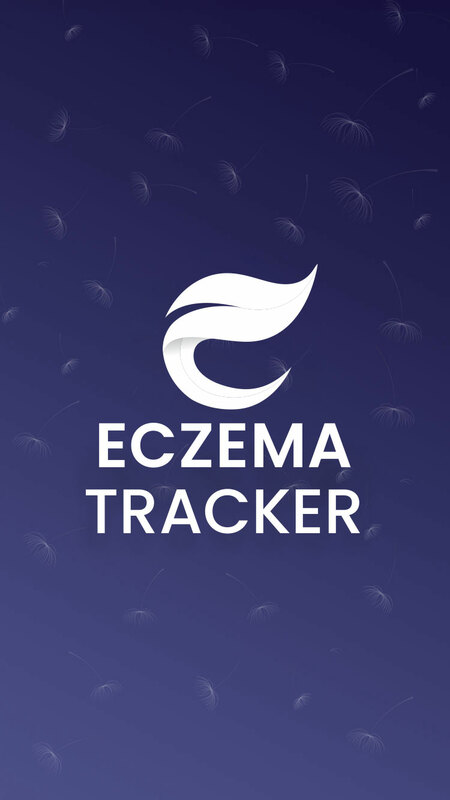 Eczema Tracker is a simple and informative app that helps you view, track, and analyze your eczema, food allergy, and other triggers information, like no other app. 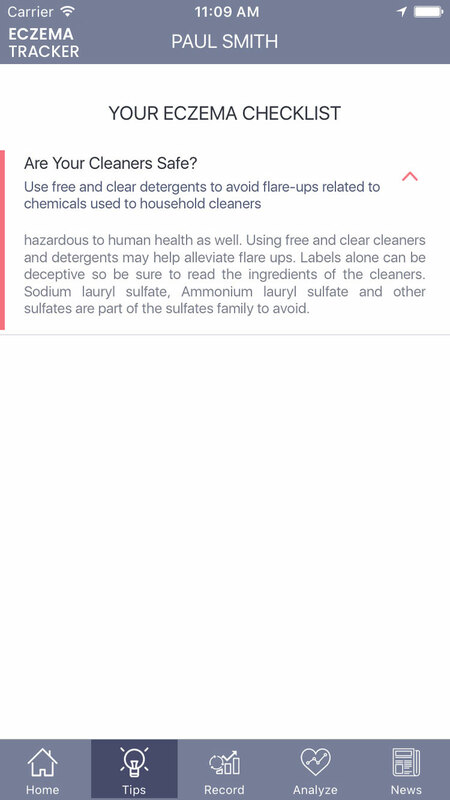 Keep note of each and every medicines you apply or change to manage the skin condition. 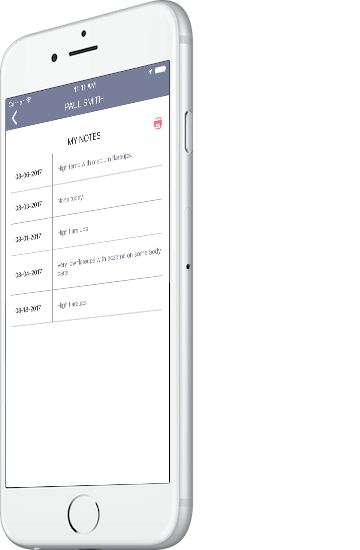 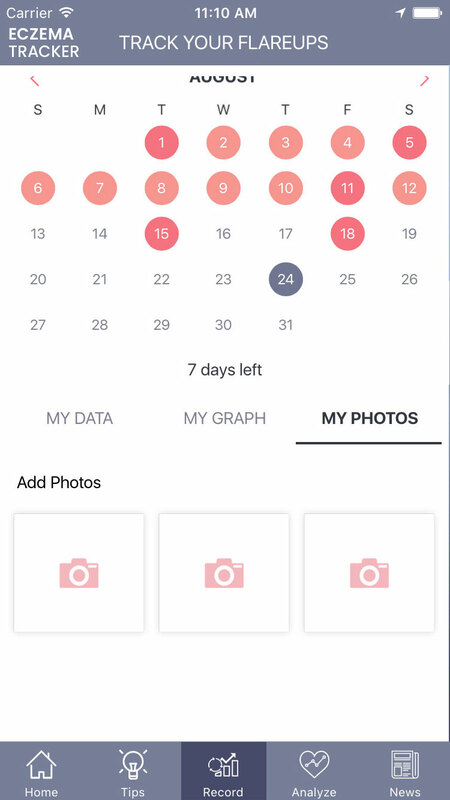 Create, edit or monitor notes directly to maintain and track your eczema symptoms. 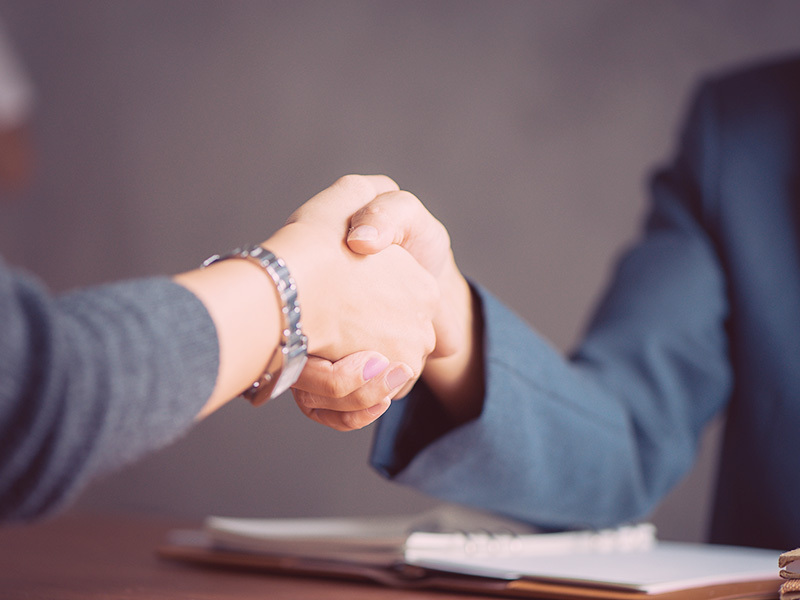 Our goal is simple - to provide a free solution to help you manage your eczema! 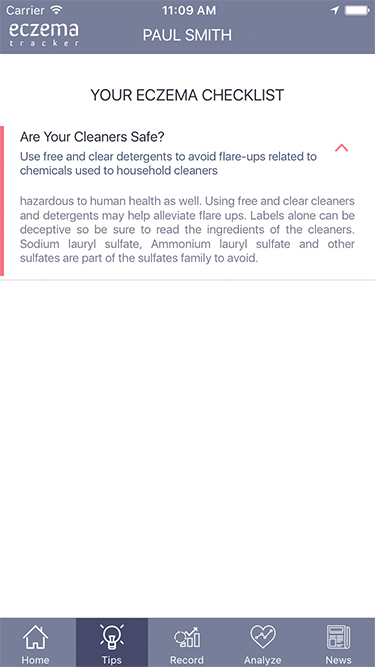 This mission started as a result of spending two years managing my son’s severe eczema by using different tools and methods. 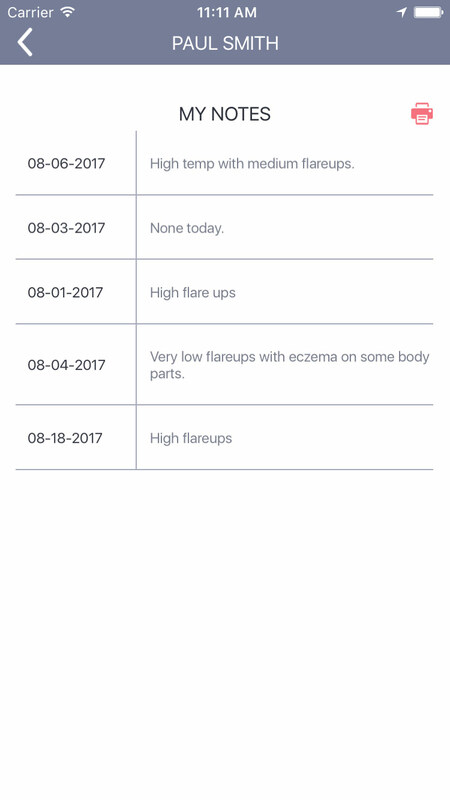 Eczema Tracker includes analysis points and tools that help manage my son’s eczema and I’m hoping that it’ll do the same for you! 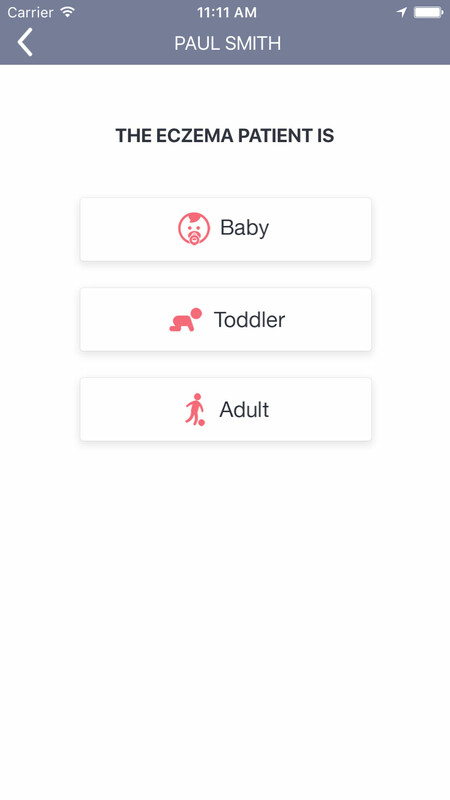 Simple, intuitive, and easy to use! 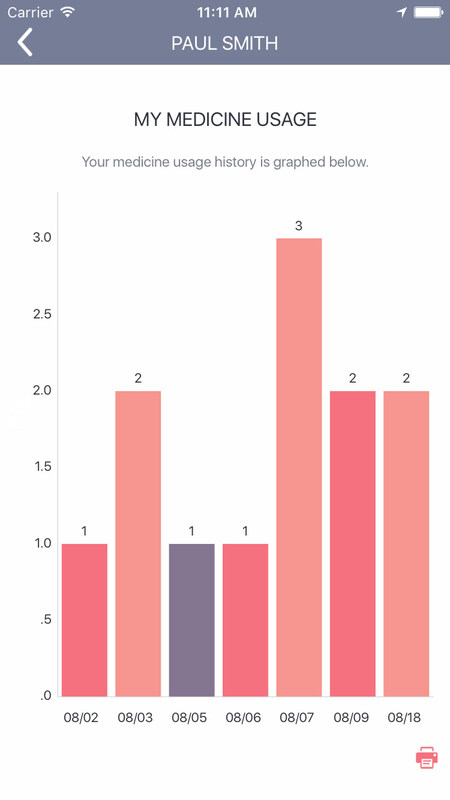 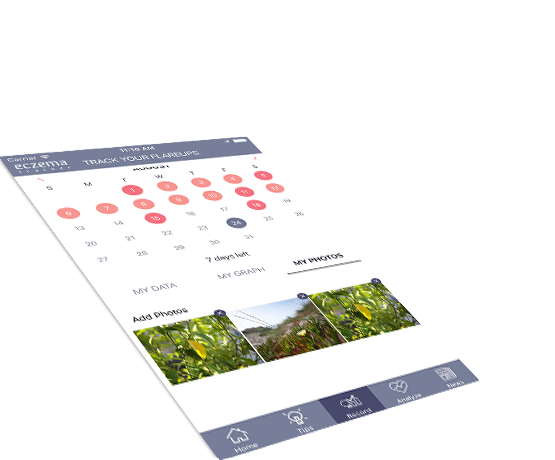 Allows you to track daily information visually in the form of graphical data. 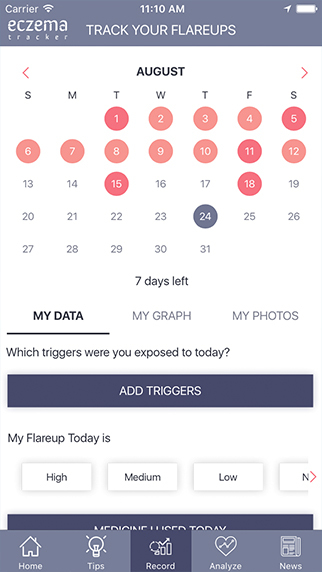 Keep track of your eczema triggers by adding triggers, flare-up intensity and medicine usage with a simple app. 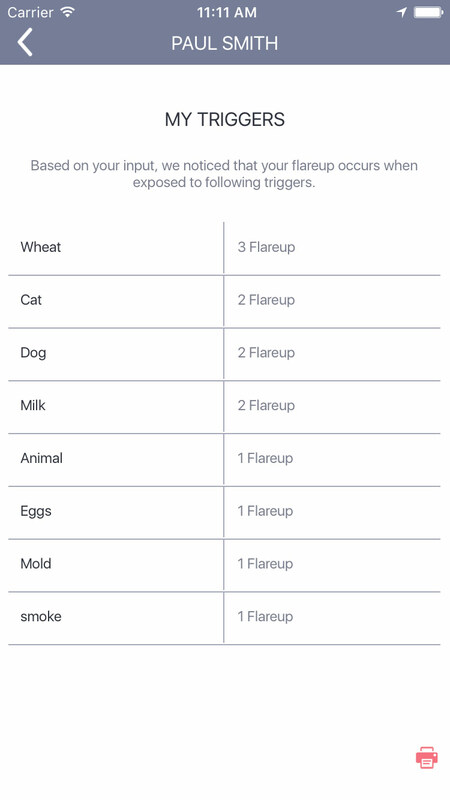 Click pictures for a new photo gallery to maintain a proper record of flare ups. What really works for eczema? 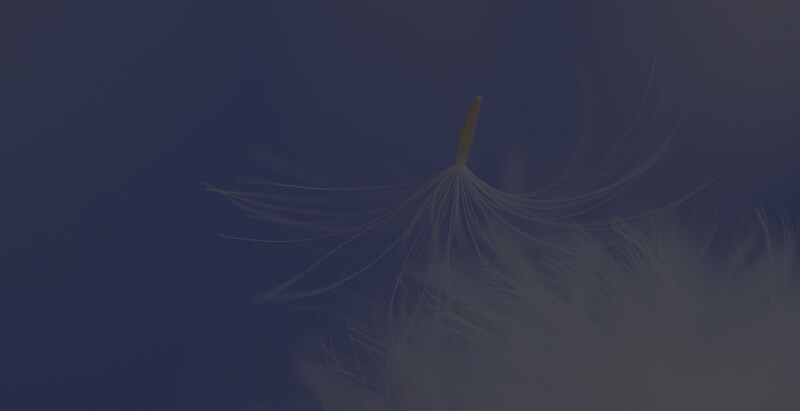 We turned to research to help us answer some of the questions I have often come across. 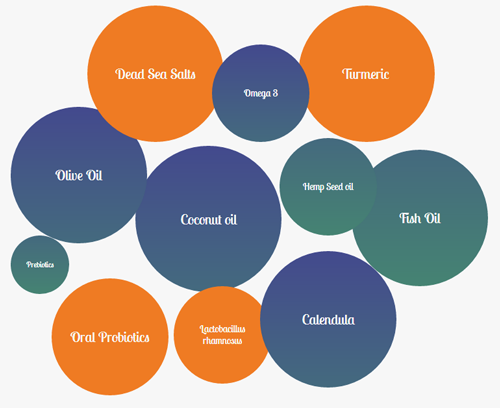 We analyzed various sources of research studies to paint a picture of eczema remedies and supplements that are popular versus the ones that have been proven to be beneficial in relieving eczema symptoms. 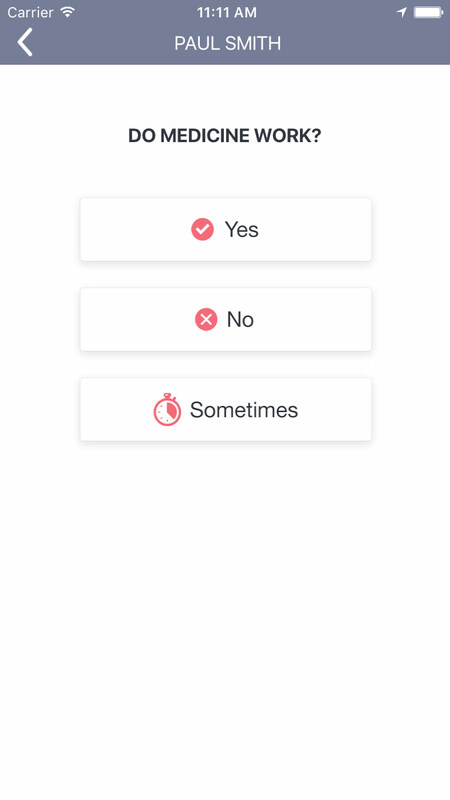 It was an intensive effort. 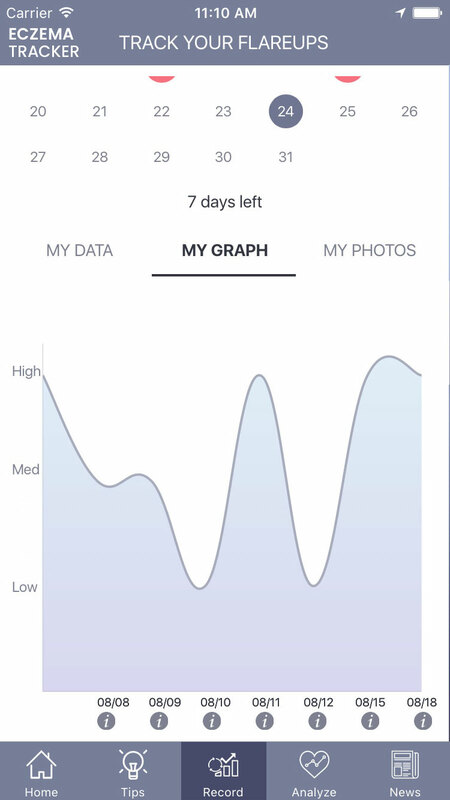 However, we think that DATA IS BEAUTIFUL AND POWERFUL!